In the latest issue of the New York Review of Books there is a short poem by Wisława Szymborska with the title “Vermeer”, translated by Stanislaw Baranczak and Clare Cavanagh. 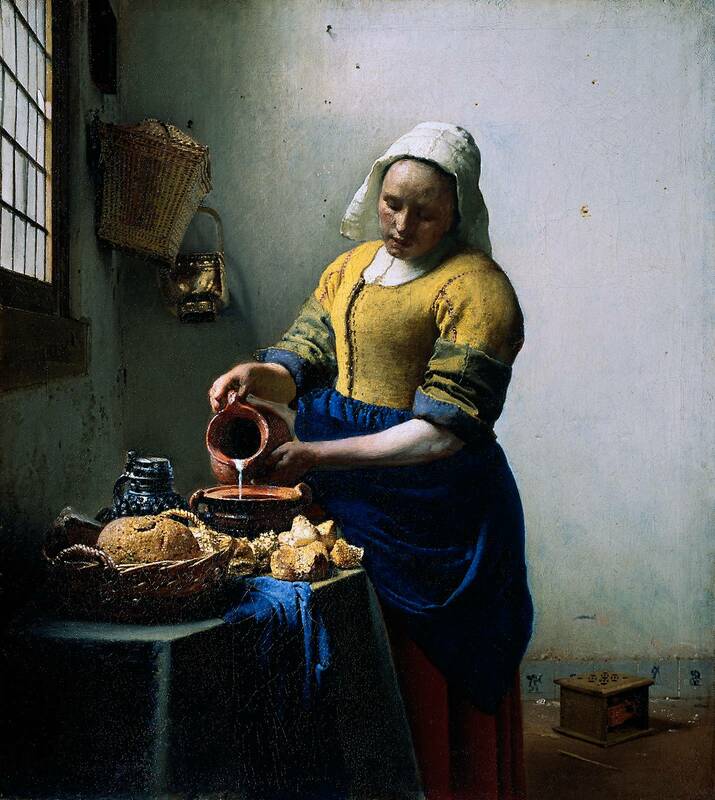 The painting that forms the subject of the poem is “The Kitchen Maid”. Here is the painting, and the poem. (The sense of arrested time in painting reminds me of the Gabriel Josipovici story “A Glass of Water”, which makes a nice counterpoint).